Advertise even when you think you don’t have to. — Marketing What's That? A couple years ago on a flight to New York City I was served a beverage that was placed neatly on this little napkin. Coca Cola is easily one of the most recognizable brands on earth. 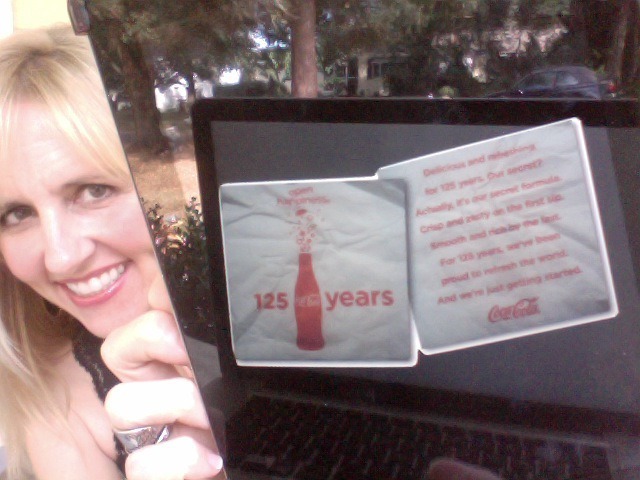 It got me thinking…why would Coca Cola need to invest in space on those napkins? There are probably very few people on earth who don’t know about Coke, right? And it’s just a napkin. Yes, but the company smartly realizes two things: They have competitors AND we’re constantly distracted. It’s marketing 101. They know they have to keep the brand fresh and in front of us all the time; even if its something we know and love. Think of all the different packaging and advertising campaigns they’ve had over the years… All wrapping up the same secret formula they’ve had for over 125 years. Same product, and we still love it. Even if we don’t drink it, we love it. They’ve gradually built a sense of nostalgia in us that makes us smile, and remember. Because they advertise even when you’d think they wouldn’t have to. How regularly do you get your brand out there? What do you do to keep it fresh in your customers’ minds? Please share your comments!